Award-winning documentary filmmaker K.R. 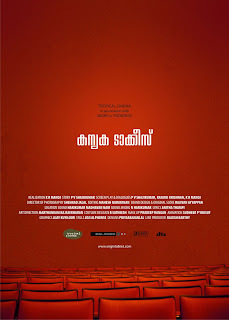 Manoj’s debut feature film, Kanyaka Talkies, is an ode to the once ubiquitous small-town theatres of Kerala. In a quiet by-lane in the heart of Thiruvananthapuram’s busy Thampanoor are a row of offices belonging to film distributors and production houses. One such tiny office, with posters of old films tacked on its shabby walls and stacked with tin trunks that one would imagine holds film reels, is the day’s location for filmmaker K.R. Manoj’s debut feature film Kanyaka Talkies. It’s the director’s first venture after winning the National Award in 2010 for Best Investigative Film for the hard-hitting documentary A Pestering Journey. The office is crammed with various members of the crew. Cinematographer Shehnad Jalal focusses his camera on actors Maniyanpillai Raju and Alencier Ley, who are sitting across a table. Manoj, who is outside in front of a monitor, calls for silence. At a nod from location sound recordist Harikumar Madhavan Nair, who is in charge of sync sound, a crew member hastily switches off the fan in the room. That done, Manoj calls for action, only to be disturbed by the sound of a small truck turning into the compound. The cast and crew wait patiently for it to come to a stop and the driver to exit the vehicle to resume the shooting. At Manoj’s direction, once again, Maniyanpillai swings into his lines, with all the ease of a veteran. After a couple of terse dialogues he growls to an office boy to hand over one of the tin trunks and a bundle of posters to another actor who is standing nearby. The latter hefts the trunk and carries the lot outside, out of frame. A short pause later Harikumar calls “Cut!” Being the perfectionist he is, Manoj insists on a few retakes before the shot is canned. “Because we are shooting in sync sound, we have to be careful about noise interference. The main location of the film was in the isolated environs of Ponmudi hill station. So we haven’t had much of an issue thus far,” says Manoj as the crew gets ready for the next shot that features Alencier. 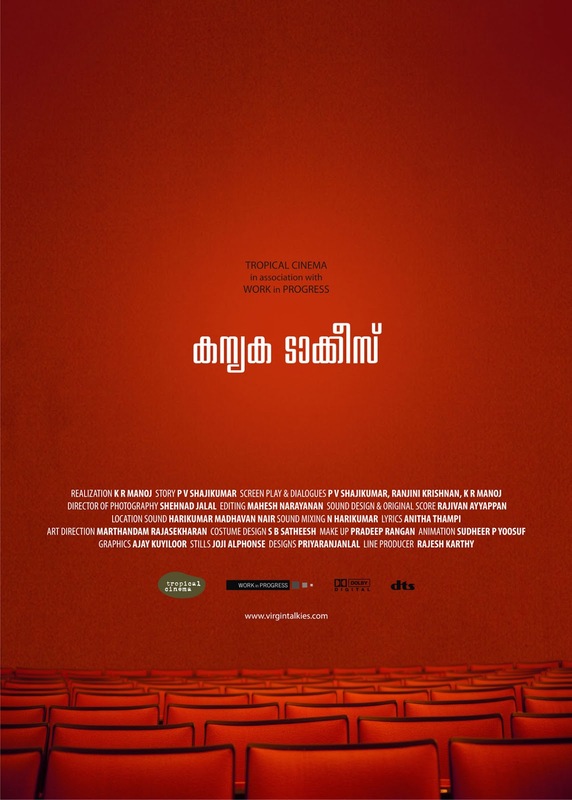 “Kanyaka Talkies is an ode to the many C-class theatres in Kerala that are finding it difficult to survive in the age of television. Once upon a time in Kerala, we had some 1,500 such cinema halls. Now the number, I believe, is less than 450. The melancholic film is imagined as a contemplation on human desire, where colonialism, religion and cinema are the three main interlocutors. It is the story of Yakoob (Alencier), who runs one such theatre in a village in the mountains. Certain circumstances force Yakoob to desert his beloved theatre, leaving the space to be transformed by the villagers,” adds Manoj. The story unfolds when Father Michele Plathottathil (Murali Gopy) is posted to the village as the parish priest. Intrigued by the theatre’s hoary past, Father Michele decides to go in search of Yakoob. As if right on cue, Murali arrives at the location. His scenes with Maniyanpillai, part of the priest’s quest to find Yakoob, will be shot shortly. “My character is pure, innocent, god-fearing… well, everything that I am not,” says Murali, with a guffaw. “It’s a first for me. Even my good-natured characters in Gaddama and August Club, had shades of grey,” adds Murali, who will soon be seen in Left Right Left. “After playing the brooding and intense Roy Joseph in Left Right Left, Father Michele is such a relief,” he muses, while watching the crew finish up the shot with Alencier and Maniyanpillai. A veteran theatre artiste, Alencier has acted in small roles in several movies but this is his first major one. “Yakoob is very pious and is equally passionate about the movies. As one weighed down by tragedy, it’s a character that gives a lot of scope for an actor,” says Alencier. Lena as Ancy also plays a significant role in the film. Kanyaka Talkies is being produced by Tropical Cinema in association with Work In Progress. Sound Design and original score is by Rajivan Ayyappan. Stills are by A.J. Joji.